The recent news that Bob Corker is reconsidering his decision to retire from the U.S. Senate in 2018 – nearly a half-year after announcing he would not run again – has Tennessee at the brink of one its most interesting primary and general election U.S. Senate races in the direct election era. On the Republican side, there were already two established candidates vying for Corker’s seat – eight-term U.S. Representative Marsha Blackburn (2003-present) and former three-term Congressman Stephen Fincher (2011-2017). Blackburn was the strong favorite in early, limited polling, and Fincher withdrew from the race on Friday despite raising an impressive $1.45 million in less than three months since entering the race and ended 2017 with $3.6 million in the bank for his campaign. Republicans have only once before hosted a primary with more than one ex- or sitting member of the U.S. House seeking a U.S. Senate seat. That took place in 2006 when Corker – the former Chattanooga mayor – defeated former four-term GOP Congressmen Ed Bryant (1995-2003) and Van Hilleary (1995-2003). Representative Blackburn has already stated that she will remain in the race if Corker jumps back in and Fincher has encouraged the senator to do just that. Tennessee U.S. Senators have won 13 consecutive renomination bids over the last half-century, though a Blackburn vs. Corker primary could end that streak. [The most recent incumbent to fall was Ross Bass with a 2.4-point Democratic primary loss to Frank Clement in 1966]. Senator Lamar Alexander’s plurality victory in 2014 with just 49.7 percent against State Representative Joe Carr made him the first Republican U.S. Senator in the state to win renomination with less than 80 percent of the vote – and the first incumbent by either party to win renomination without a majority. Meanwhile, as Republicans sort out who will ultimately be on the August primary ballot, former two-term Governor Phil Bredesen will essentially get a free pass to the general election and aims to aggressively raise funds as Democrats attempt to flip this key seat and end their party’s nine-election losing streak in the state dating back to 1994. 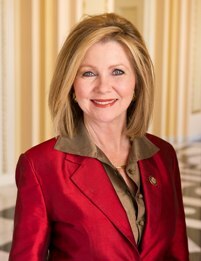 Unlike Bredesen, who is one of only a few Tennessee governors to run for the U.S. Senate in the direct election era, Blackburn and Fincher will add their names to a long list of ex- and sitting U.S. Representatives who have sought senate seats over the last century – many of whom were successful. 1972: Three-term Rep. Ray Blanton (1967-1973) – lost general to Senator Howard Baker, Jr.
1970: Four-term Rep. William Brock (1963-1971) – won general election, defeating Senator Al Gore, Sr. Overall, sitting and ex-Tennessee U.S. Representatives have been victorious in eight of 22 U.S. Senate bids in the direct election era (36.4 percent) with Democrats winning seven of 15 and the GOP one of seven. 1 Comment on "Marsha Blackburn and a Review of Tennessee US Reps Running for Senate"
1. R Bass lost a bid for a 6-year term in 1966, falling short in the D primary; W Brock failed both a retention bid in 1976, unable to overcome the 56% statewide vote share of Carter, as well as his political ties to Nixon; and a return bid in 1994, unable to overcome the jinx (!?) thus far accompanying those who have sought to be elected US senator from more than one state (after his loss in ’76 he became a resident of MD). 2. “Bone Spurs” may have a shaky 40% favorability score among voters nationally, but that is presumably higher in the Volunteer State, giving unabashed booster Blackburn a solid upper hand, regardless of re-entry into the contest by Corker. Moreover, voters in both parties here have shown an unsentimental willingness to ‘turn the page’ when the time has come to walking away from a Senate incumbent (Luke Lea, Newell Sanders, et al), hindering “Liddle Bob” even further.